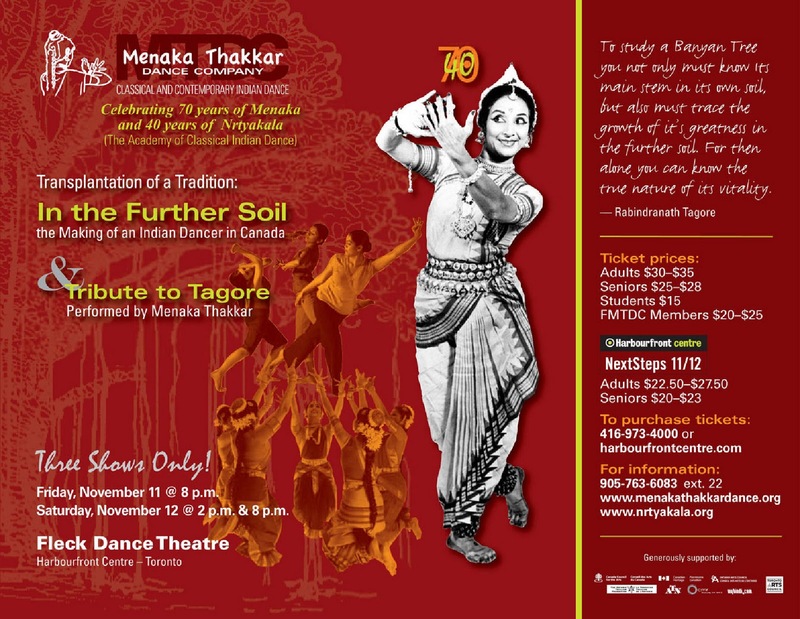 An Invitation to "In the Further Soil" with the Menaka Thakkar Dance Company ~ The Toronto Hare Krishna Temple! A warm invitation has been passed along to Toronto's Hare Krishna community to attend a special presentation by the Menaka Thakkar Dance Company. Menaka Thakkar has been a friend of our temple for a number of years and has helped arrange beautiful dance programs at our annual Festival of India. “In the Further Soil” is subtitled the transplantation of a dance tradition because it illustrates the journey that Ms. Thakkar has forged in founding the first professional school of Indian dance in Canada as well as founding the first professional Indian dance performance company which became the first culturally diverse dance organization to receive funding from Canada Council for the Arts. The title of this production comes from a poem by Rabindranath Tagore in which he speaks of the Banyan Tree that not only grows in its own soil but reaches its roots to the further soil which is an apt metaphor for the growth of Indian dance in Canada through the activities of Ms.Thakkar. 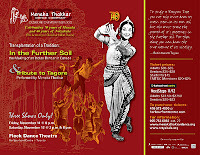 For more information and tickets, please visit: www.menakathakkardance.org or www.nrtyakala.org.